There are a lot of new match types in FIFA 19, each with unique gameplay style. You can play UEFA Champions League match (which has been added for the first time in FIFA series, House Rules, Best of Series, Home & Away matches and Cup Finals. Every match type offers a different experience for the player. UEFA Champions League: EA has finally collaborated with UEFA to integrate Champions League in FIFA series for the very first time. Fan favorite prestige club competition has shifted spot from PES (Pro Evolution Soccer) series. You can play complete tournament; beginning from the group stage; surviving through the knock out phase and then winning the final or you can directly play the Champions League final and enjoy the moment. Players can also play a simple two-legged Champions League match for their enjoyment. Survival: In survival mode, each time any team scores a goal, a random player from that team will be eliminated. As the goal tally increases, match becomes more interesting. No Rules: Want to play a match without foul, offside and penalty? Try this mode. In this match type, anything goes down. Long Range: Goals scored inside the box will be counted as one while goals scored from outside the box will be counted as two goals. This mode gives edge to long range shooting. First to: In this mode, you can set a custom goal limit to achieve victory. If no team score the required goals, the match will continue normally: going to extra time and then penalties. Headers & Volleys: Players can only score with headers or volleys in this mode. Any other type of goal score will not be counted. Best of Series: You can play a series of matches against your opponent to pick a winner. Series can be of 3 or 5 matches. Home & Away: A two-legged match in which winner will be determined on overall (aggregate) score. In case the score remains equal at the end, team with most goals on away match will win. If by chance away goals are also equal then match will go to extra time and penalties. 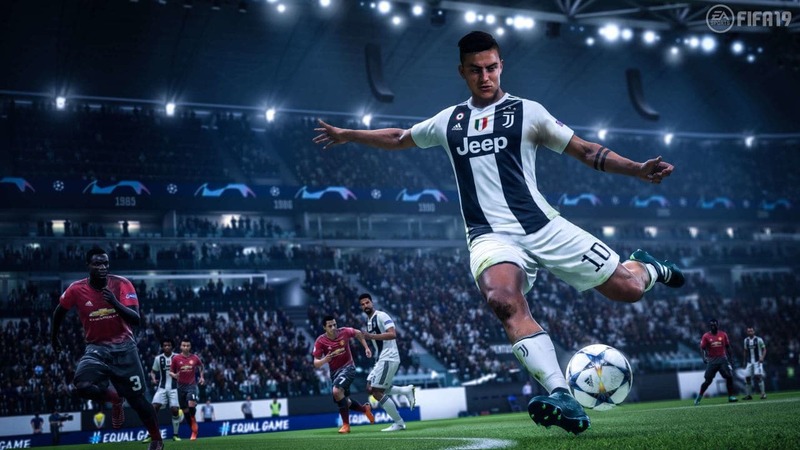 Cup Finals: In FIFA 19 you can enjoy winning the competition by simply playing the final match of any cup like UEFA Champions League, Europa League, FA Cup and many others.